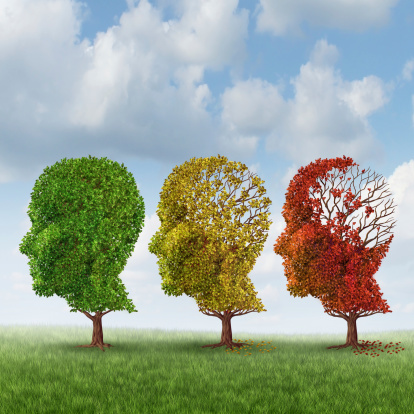 With the number of seniors suffering the effects of Alzheimer’s in the U.S. continuing to rise, more study has been dedicated to gaining a better understanding of the disease. A recent study conducted by the University of Chicago has predicted that the number of Americans suffering from Alzheimer’s will increase by 35 million by 2050, raising the number of seniors dealing with the disease to over 60 million. Now a recent study has offered a potential cause of dementia that had previously gone overlooked. According to researchers at the University of Central Lancashire School of Medicine and Dentistry, poor oral health and gum disease could have a link to dementia and Alzheimer’s. While other studies have shown a correlation between dementia and an individual’s oral health, this study marks the first time researchers have successfully marked a specific bacteria associated with gum disease in the brain. As part of the study, researchers examined brain samples donated by 10 individuals who had suffered from dementia and samples from 10 individuals without dementia. Upon their examination, researchers found traces of the bacteria Porphyromonas gingivalis in four of the donated brains from individuals with dementia. Researchers speculate that this type of bacteria may play a vital role in how Alzheimer’s disease affects the brain and contributes to the symptoms that include failing memory and confusion. By participating in everyday activities such as brushing and eating, researchers believe that certain harmful bacteria may find its way to the brain. Researchers are working under the theory that when the brain receives repeated exposure to this type of harmful bacteria and debris from our gums, subsequent responses by the body’s immune system may lead to the death of nerve cells and a decrease of memory function. The fact that bacteria from the mouth could eventually makes it way to the brain and contribute to the development of dementia makes visiting the dentist an important part of ensuring future brain health, suggests researchers. According to researchers, the future practical application of this kind of data is to use P. gingivalis as a marker through a routine blood test, to predict an individual’s risk of developing Alzheimer’s and other forms of dementia. While early conclusions seem compelling, researchers are quick to caution that more study is required before a conclusive cause and effect can be established between oral health and dementia. Examination of the data by researchers unaffiliated with the study offer encouragement over the results of the study, but further calls for additional study have been echoed. Since researchers don’t know whether the presence of oral bacteria in the brain actually contributes to the development of dementia, further research will be needed to determine whether improve oral health and a reduction of P. gingivalis can successfully lower the risk of Alzheimer’s. Additional studies have hinted that infection, including oral infections, could have a link to the development of Alzheimer’s, and further research is ongoing to establish this connection. However, for further research into oral health and dementia, researchers stated that future studies will need to look back at the dental records of Alzheimer patient to determine oral hygiene history in order to establish a clearer relationship between the two diseases.